Time Format: Defines the format for time values used in Plot. 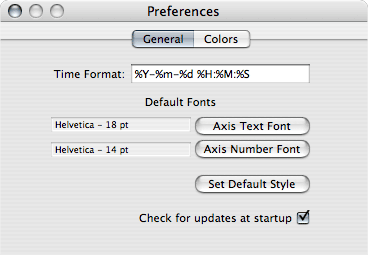 Default Font: Allow to define default fonts for axis labels and axis numbers. Set Default Style: If clicked the style of the current working buffer in the current document will be the default style for newly generated data buffers. Check for updates at startup: If checked Plot will inform you if a program update is available. 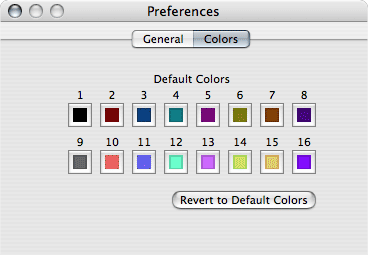 Here you can define your own default colors used by Plot. It is also possible to restore the default colors provided by Plot.